In Rochester, there's a new kind of safety net for people in financial difficulty. At noon on Mondays, you'll find a squad of lawyers, paralegals, financial counselors and county officials camped in the lobby of the Olmsted County Courthouse. The group's goal is to intercept renters arriving for an eviction hearing and help them to work out a deal with their landlord. They want to prevent evictions, but also to remove the court filing from the tenant's record, because it can have long-lasting effects. 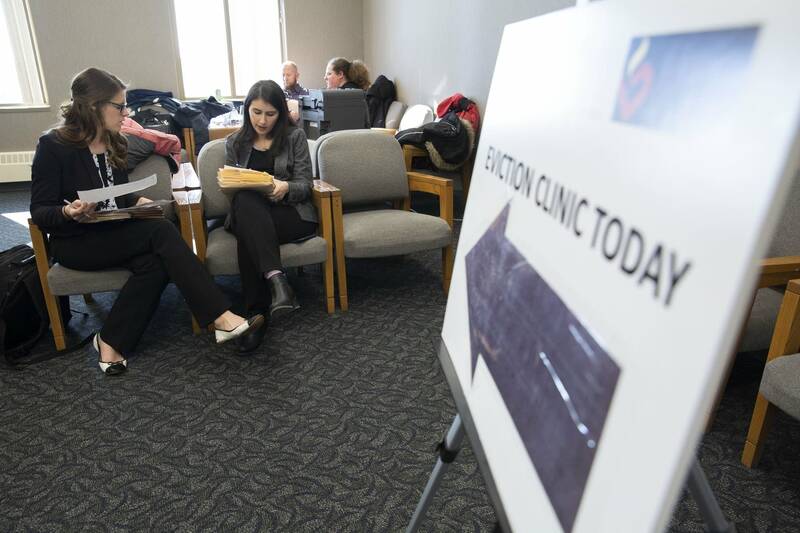 "Once an eviction is filed in court, that eviction stays on that person's record," said Karen Fairbairn Nath, executive director of Legal Assistance of Olmsted County, one of several organizations with people running the eviction clinic. "It's like a scar that will prevent them from being able to be considered for future housing," she said. Fairbairn Nath said the clinic was conceived in response to a rising number of evictions in Olmsted County. Since 2016, the number of eviction filings in court has ballooned by 42 percent. Actual evictions rose about 60 percent during that same period of time, according to the Olmsted County District Court. Last fall, the growing case load forced the court to add a second day to its weekly calendar to hear all of them. The clinic received a $50,000 grant from Mayo Clinic, whose ambitious Destination Medical Center project is contributing to the tight housing market. Fairbairn Nath said she believes high demand for housing in Rochester means landlords are pursuing evictions faster than they used to. "I think they can get someone else into their apartment ASAP, especially if it's affordable housing, because affordable housing is in such short supply," she said. Fairbarn Nath said anyone who gets kicked out of rental housing may be banished to homelessness. Rental housing is so scarce in Olmsted County, landlords have no reason to accommodate anyone with a blemished record as a tenant. Attorney Brenda Benitez, who represents some area landlords at the clinic, said corporate building owners who live far away may move to evict faster. Others, including some whom she represents, will try to avoid booting tenants because turnover at their properties can be a hassle. She said the clinic has had mixed results for landlords. "It takes so much more time beforehand to get everything gathered. In terms of procedure, it's been a little more difficult. But, it's obviously for the benefit of the tenants," Benitez said. Fairbarn Nath said the clinic can't help everyone facing eviction. It's aimed at people who have had a short-term financial setback — they've lost a job, or a surprise medical bill that leads to missed rent. That was the case for Josh Stone, who huddled with a clinic attorney before his eviction hearing. 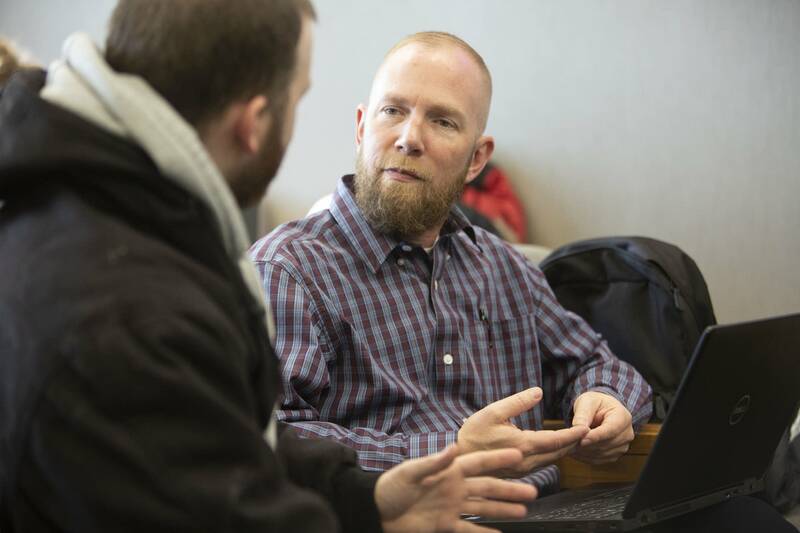 He and his family live in Stewartville, Minn., and he quit his job an hour away a few months ago to cut back on the commute. "I couldn't find job for a while, bills came up, pushed it back ... Getting out of the hole is a whole lot harder than getting into it," Stone said. He was a good candidate to get assistance from the clinic because he now has another job, and so does his wife. They have enough income to complete the payment plan their landlord agreed to. Stone will also have to participate in financial counseling, which is provided by Lutheran Social Service of Minnesota, so he doesn't find himself back in eviction court months from now. Clients are also able to access other social service programs at the clinic, a feature Fairbairn Nath said makes it easier for her clients to get the help they need because they don't have to go multiple places to apply for assistance. As Stone went into his court hearing, Megan Hunt came out — with an extra week to catch up on rent. Hunt has two kids and a third on the way, and the family was living on only one income for a while. She's been worried about finding another affordable place if they get evicted. "I really don't know where we would go. I work right there. My oldest goes to school there," she said. Hunt said she's especially grateful for the assistance she's getting from the program to pay court fees. "Court fees were like $700 more," she said. "That was a struggle to pull out, too." 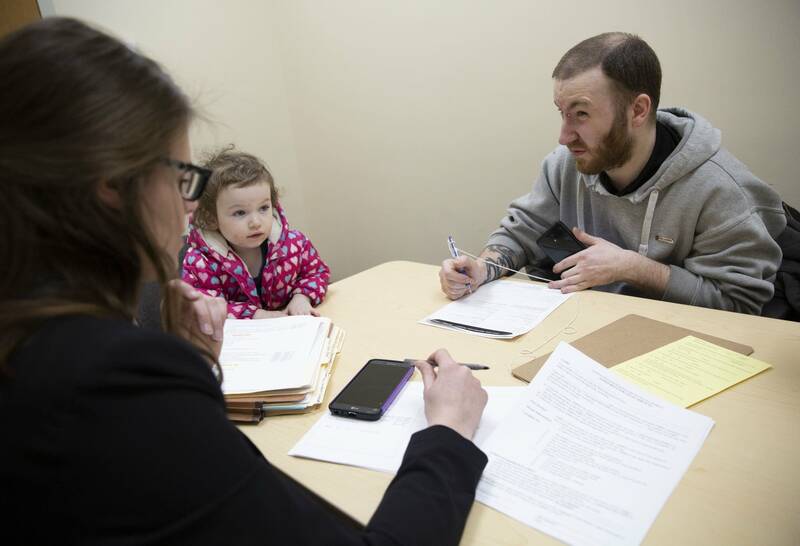 So far, the group has been able to assist in roughly half the 2019 eviction cases. Only nine of their cases have been completed, but eight of them have been settled or the eviction filing expunged. That may be good news for Fairbairn Nath and her team, but they're facing another setback — the $10,000 in grant money set aside to help people with court fees is already spent. The clinic will continue regardless, but Fairbairn Nath said they're seeking more grant money. "If we aren't able to replace that funding, I don't know how many more times we will be able to prevent evictions," she said.